Club Z! $25,000 Annual Achievement Award Now Accepting Applications! Club Z! Tutoring is now accepting applications for the Fall 2015 Annual Achievement Award. 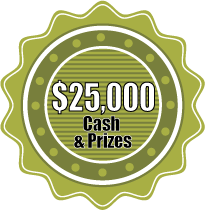 The Award promises more than $25,000 in cash awards for students in grades 5-12. The application deadline is November 13, 2015. It's that time of year again! Time for pencils and textbooks, classrooms and teachers, and of course the Club Z! Annual Achievement Award. Designed for students in grades 5-12, the Club Z! Annual Achievement Award allows students to showcase their talents and abilities for a chance to win cash for school! Open to students with all levels of talents and abilities, the Annual Achievement Award allows students the opportunity to compete for awards totaling more than $25,000 nationwide! Ken LeVigne, a teacher at Whittier Union High School District in Whittier, CA was thrilled to have two of his students recognized with the Annual Achievement Award, saying "I want to thank you and Club Z! for all you have done, not only our students, but for all the students who are motivated and inspired by your program and awards. This is such a huge thing for both Nathalie and Brittney, something that neither will ever forget. I am sure that it will catapult them to further success and give them the confidence they need to persevere in the future." Whether they've shown strong character in the classroom, overcome obstacles at school, shown leadership among their peers, or simply improved since the beginning of the year, the Club Z! Annual Achievement Award has something for everyone! Last year alone, hundreds of students across the nation were awarded with money for school, textbooks, tutoring and much, much more thanks to Club Z! and this year's program promises to surpass last year's feat! Winning entries will be judged based on performance, service, merit or achievement. Cash awards totaling $25,000 and many local awards will be presented to the winning applicants during a special presentation held at the school. Students may only apply one time during each award period, so get your hands on an application and be sure to get it in to your local guidance counselor or Club Z! Area Director before the November 13, 2015 deadline! Teachers, nominate your students or encourage them to apply online today! 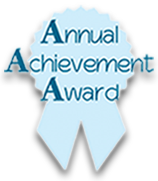 Annual Achievement Award applications can be downloaded by using the links on the right side of this page. Students may only apply one time during each award period, and applications must be endorsed by a classroom teacher, guidance counselor or academic coach.